With no mechanic required, cyclists can easily install their Vector S system or transfer it between bikes themselves in minutes. Its single-sensing system delivers reliable, accurate data, measuring power output at the pedal where force is applied. Vector S calculates power (watts) at various time intervals, measures cadence with its built-in accelerometer, and sends the data to compatible Edge® cycling computers or other ANT+™ enabled devices1. It works by measuring the deflection in the pedal spindle as users pedal. By comparing that measured deflection to a factory calibration, it can determine how much force is being applied to the pedal. It measures a few hundred times per second. The force sensor and related electronics are permanently and securely sealed within the left pedal spindle. 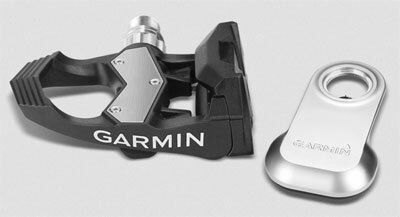 Should users decide that they want to take the next step in monitoring power output and pedaling style, they can simply purchase the available upgrade pedal. When paired with Vector S, the upgrade pedal makes a complete Vector power meter system, delivering direct left/right accuracy and providing advanced metrics including left/right balance data, and Cycling Dynamics2. 2Cycling Dynamics will be available in Q4 via a software update to all dual-sensing Vector users.